The year 2017 went down as one of the most ignominious in the history of the diesel vehicle industry. That year in December, U.S. District Judge Sean Cox handed down a seven-year jail sentence to former Volkswagen GM for Engineering and Environmental Office, Oliver Schmidt, for his role in “Dieselgate”, ranking as one of the harshest white-collar sentences ever meted out in Schmidt’s native Germany. Dieselgate will be remembered as one of the most high-profile emission scandals in history whereby Volkswagen executives connived to market their “clean-diesel” vehicles anchored on an environmentalist’s dream: high-performance cars with excellent fuel economy and squeaky clean emissions profile to rival hybrid EVs’—only that it turned out to be little more than a software-conjured mirage. And now, Dieselgate is having unintended consequences. 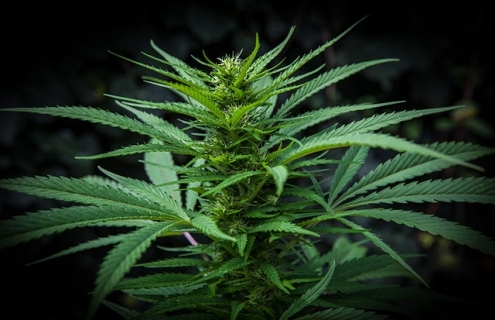 The sudden boom in the price of palladium, an element extensively used to scrub gasoline emissions, has spawned a new crime driven by a group of felons looking to rip out catalytic converters from cars for sale as scrap metal. 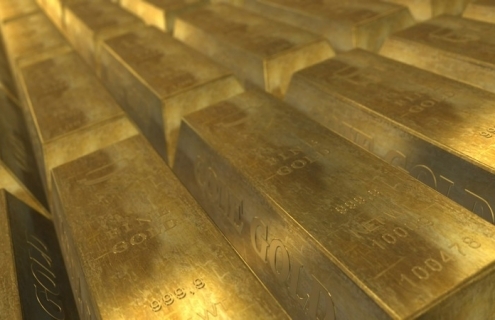 Palladium prices have skyrocketed and topped gold as the most precious of the precious metals spurred by more stringent diesel emission standards in Europe following Dieselgate as well as new emissions regulations for Chinese cars. Palladium hit a lifetime high of $1,400.10/oz on Jan. 17, 2019 and has surged about 50 percent over the past four months. That represents a seven-fold rise from its price of less than $200 an once about a decade ago. Palladium together with platinum are employed in catalytic converters where they help turn harmful pollutants such as carbon monoxide into more environmentally-friendly compounds such as carbon dioxide and water vapor. Demand for palladium, a silvery-white metal used in catalytic converters for petrol cars, has shot up as more environmentally conscious consumers turn their backs on diesel cars. In Midlothian, Virginia, more than 15 catalytic converters have been stolen from vehicles parked right outside apartment complexes since December. In Missouri, canny robbers are mainly targeting U-Haul rental trucks with the anti-pollution devices having been ripped from U-Haul trucks at a single location near St. Louis. Larger engine SUV and trucks can harbor as much as an ounce (28.35g) of palladium in their converters compared to 2-6 grams in light-duty trucks, ordinary cars and motorcycles. If you live in the U.K., be on the lookout if you drive a BMW, VW or an Audi. 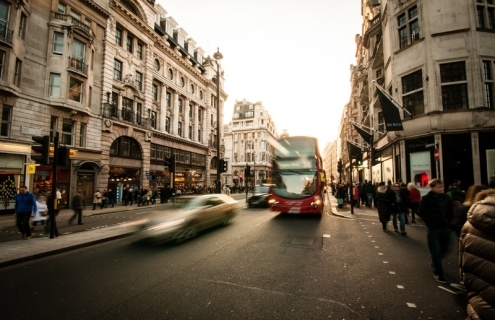 In one particularly brazen incidence, palladium-crazed larcenists held up midday traffic in London as they lifted the device from a parked Honda Jazz. What is particularly galling for vehicle owners is the fact that a converter might sell for $400 yet the cost of repairs can be seven times more expensive. Demand for physical palladium has been an important factor driving prices. Even prior to Dieselgate, there was a trend of growing global deficit for the metal mainly driven by a shift to big SUVs in the U.S. and small gasoline vehicles in Asia. Curiously, palladium ETF holdings have moved opposite of prices in recent years, with investors cutting 71 percent of holdings since 2014, or 2,400,000 ounces. It’s assumed that these ETF outflows mostly went to cover the growing deficit. Currently, only about 1,000,000 ounces of palladium ETF holdings still remain, suggesting that the ETF outflow could be close to maxing out. 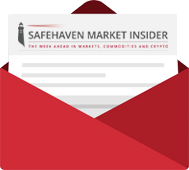 Meanwhile, mining supply is expected to remain flat as declines in South Africa and Canada are offset by increased output from Canada. 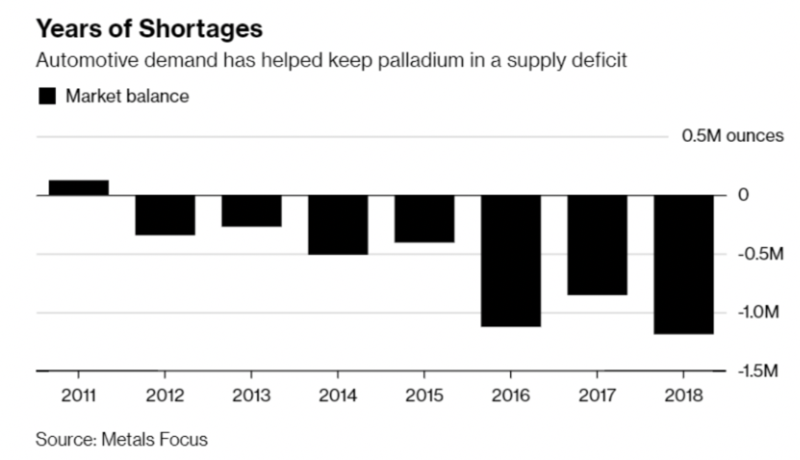 This calls for a bullish outlook on palladium prices. 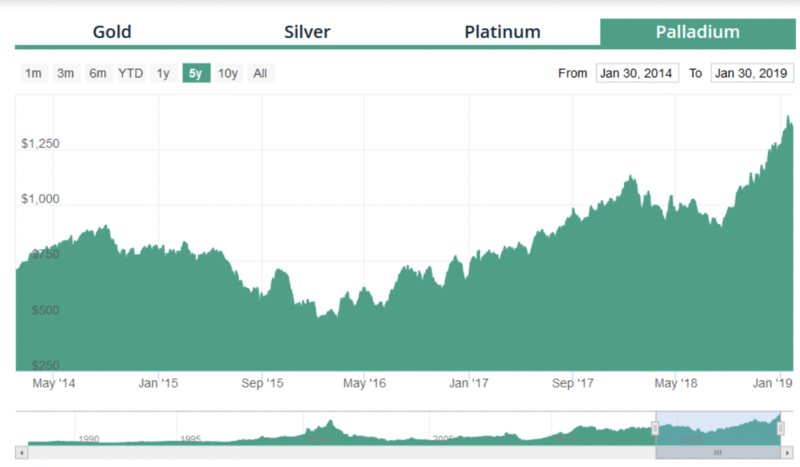 Regarding the platinum/gold ratio, it’s true that gold has historically been priced 2-3 times higher than palladium, suggesting that the current situation is an anomaly. The current ratio of just above 1.0x, however, is not unprecedented and can continue if supply remains muted, tighter emission legislation takes hold in jurisdictions like China and the U.S. while demand for autos and electronics increase. 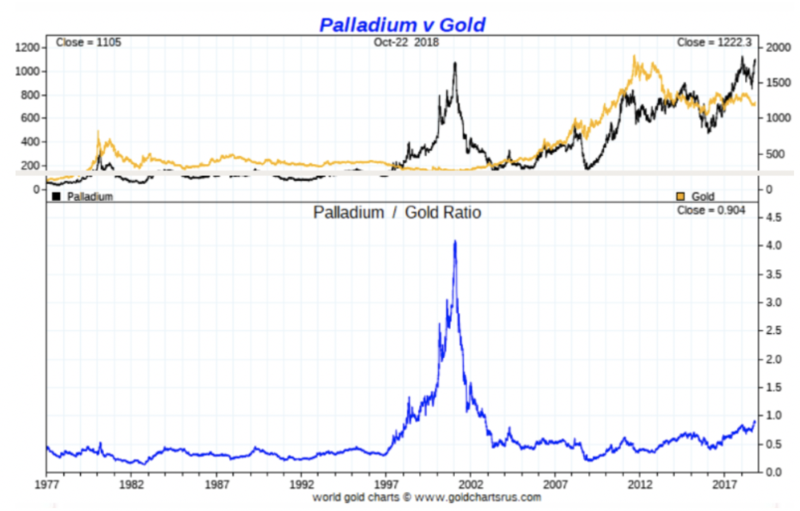 Looking at a reversed chart, the palladium/gold ratio reveals a rounding bottom that spans over 15 years. The rounding bottom seems to be breaking out with the trend set to continue in 2019.
remember when W sold Stillwater mine to Russia?